OnePlus today kicked off the roll-out of OxygenOS 5.0.2, which finally brings Android 8.0 Oreo to its latest flagship killer, the OnePlus 5T. This build also adds a couple of changes to the UI and updates a number of the built-in apps. 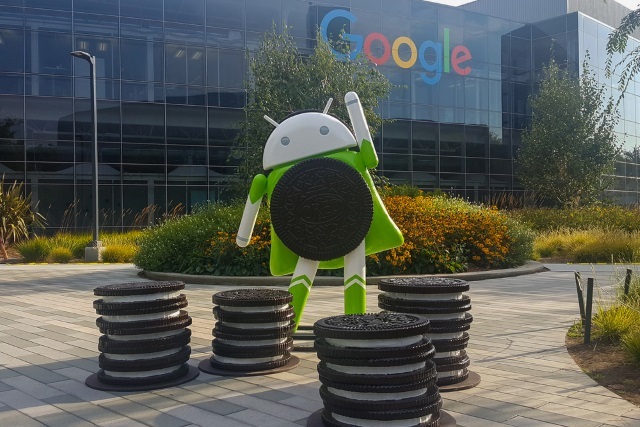 The official Android 8.0 Oreo release lands nearly a month after OnePlus introduced the first public beta. Given the nature of such major under-the-hood changes, it will reach a limited number of OnePlus 5T users on day one, with a broader roll-out set to start in the next couple of days. The move to Android 8.0 Oreo has not resulted in a whole lot of visible changes. As OnePlus notes on its forum, the main thing that users should notice is the redesigned Quick Settings panel. However, when you go through Settings you will also notice some changes in the menus there. For instance, the options for the Wi-Fi networks are at the bottom of the page, below the list of networks. In Battery, a large battery icon sits in the upper part of the menu, next to a battery percentage and estimated time left. The last full charge is also displayed there, though in my case the time is off -- it shows the uptime since the last restart instead. You will also see a screen-on time since the last charge, which again, is off -- I have the figure since the last restart reported. OxygenOS 5.0.2 also brings lots of bug fixes and improvements and upgrades the security patch level to December. OnePlus notes that there's a CPU patch applied, namely CVE-2017-13218. When it comes to the apps, there are updates for Launcher, Gallery, Weather and File Manager. I have not noticed any major changes there in the short time I've been using OxygenOS 5.0.2, but there is a slight difference in the launcher which caught my eye. For some apps, like Google Photos, LinkedIn and YouTube, you get a white disc background. If you have a OnePlus 5T and want to get OxygenOS 5.0.2 right now there is a way you can trigger the update, and that is by using a VPN app with a Canada-based server. Opera VPN works fine for this. After the connection is established you can disable the VPN and continue the download via your preferred (Wi-Fi or cellular) network.